If there's one thing I know it's pyjamas and loungewear. As someone with a dog that sheds over everything, I tend to come in through the door and get changed instantly, hanging up my clothes and putting on my loungewear. I don't really like wearing very pyjama looking loungewear, I like yoga pants, little hoodies and t shirts, things that are comfy and easy to wash but look cute. I have a bit of a tradition in my family which is that we put on our new pyjamas on Christmas Eve for Santa coming. I don't know if he appreciates it but since I was a little girl that's been our tradition and I can't break it now. The nice folks from Sainsburys invited us to come and have a look at their Christmas items and show us around the clothing range. I have to say they spoiled us rotten with lots of food, wonderful recipes, wine, Christmas inspiration and fashion. Our little goodie bags were full of treats! 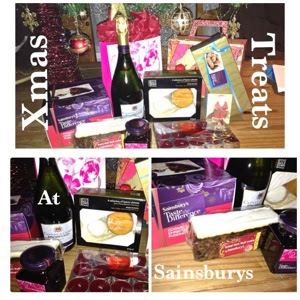 It was lovely to get a chance to try all the products, I've saved the Christmas cake, pudding, cranberry sauce and cheeses for the big day. But I did make the mistake of opening the Belgian truffles, I had one and set them down on the table and went off to make dinner. I ate it and thought to myself 'oooo I must get some more of them' so I went back to get more and was there any left? Was there heck! No Himself and my parents who were visiting had completely cleared the whole tray. No more yummy sweets for me. So I've already told himself he owes me more truffles before Christmas! 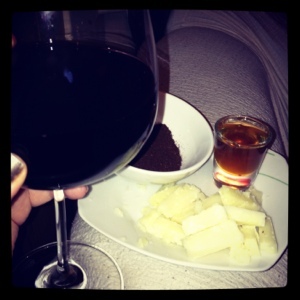 I went and bought manchego cheese and a lovely pinot noir to try the honey and coffee combination I was shown on the day. So yum! I did promise I'd be trying it and I did! As we walked through the store and got to look at the lovely range we got the opportunity to pick a few little bits from the range that we loved. Honestly this was no problem at all. 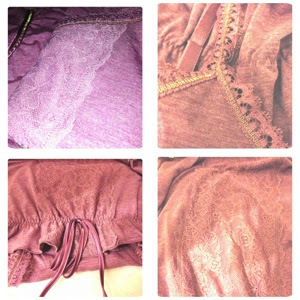 I spied these gorgeous dusky pink super soft pyjamas, they had lovely gold detailing and lace. I picked up the little vest top with its lace panel and the matching bottoms. I loved the gold detailing and I thought they were so, so pretty. They are most definitely going to be my Christmas Eve pyjamas, firstly they're absurdly comfortable but I was really won over by how gorgeous and girly they were. Lace, draw string and gold detailing on pyjamas. I didn't just stop at the pyjamas though, and seriously girls this is my piece de resistance, when we were walking through the store these little fluffy hoodies were pointed out. I'd never seen anything quite like them, they have a little pocket in the front and a snuggly collar with the little ribbons. Because I've kept my pyjamas to be unveiled on Christmas Eve I couldn't keep the fluffy hoody to myself! Oh my goodness it is so warm! I may not win any awards for total sexiness but I am ridiculously snuggly, I actually keep petting myself. Himself does the line from Despicable Me when he sees me 'IT'S SO FLUUFFFFAAYY' and yes he's very right. This will be my look for Christmas day when I'm curled on the sofa drinking Cava. I'm not a fan of the onesie, I like the concept of them but they just don't work for me. 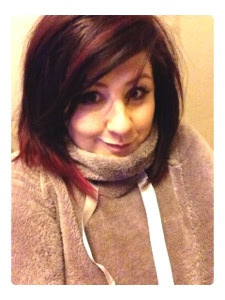 So this is my very cosy alternative. I've already bought 3 more of the fluffy hoodies 1 for my mum, 1 for Himself's mum and another 1 for me. That's my pick for day 6!